You have heard that playing computer games is relly lame? Do not believe them if you are playing Farming Simulator 2015. This game is one of the best educational, agricultural games, in which you can manage a farm, command to workers, grow different types of animals and repair different kind of cars, for example, Ostalgie tractors. If you want to do some interesting things in this game, you should also download free Ostalgie tractors modes for PC. How to do that? You just need to browse in this Ostalgie tractor mod website for Farming Simulator 2015. 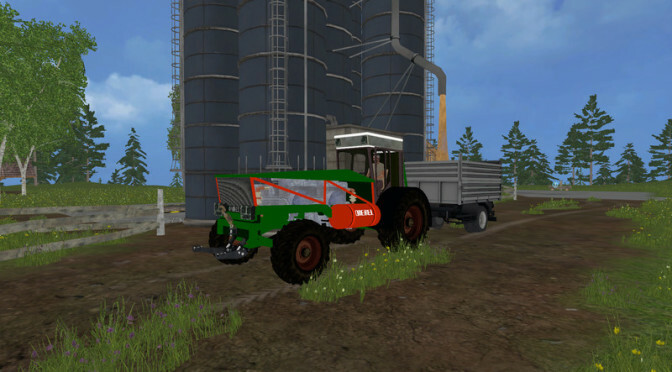 Here you will find plenty different Ostalgie tractors mods, which will upgrade your game. So, if you want to improve your farm managing skills, you should download free Ostalgie tractor mods for your PC.